S, M, L, XL, XXL…6XL available. Custom colors are also available on demand. Your brand name can be developed. 1pc/poly bag, with size sticker, 15pcs/carton. 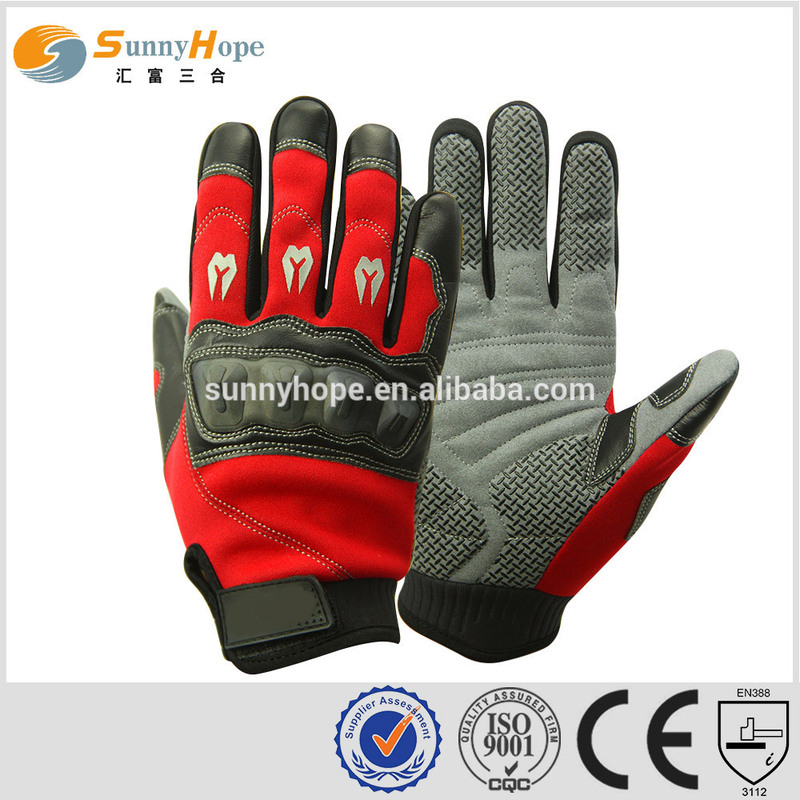 Motorcycle pant, Fashion Wear, Sports Wear, Leather Gloves, safety wears & Motorbike Accessories. Integrity, Professional Machinery, Professional Sales Team, Alibaba Gold Supplier, More than 20 year experience in this line. Features: 1. Special ergonomic design with carbon fiber hard shell protection, taking into account aesthetics and security. 2. 3D-dimensional breathable mesh fabric, comfortable is not hot. 3. 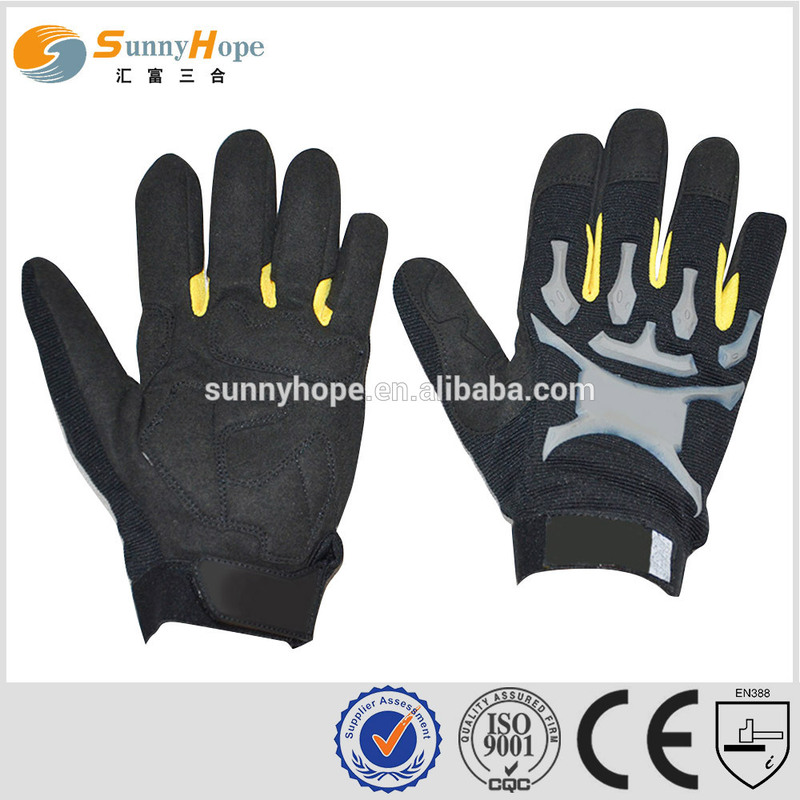 Ergonomic, hand-dimensional drop resistance protective hard shell, shock-absorbing foam has a better than general protective effect. 4. gloves fit perfectly with hands more, feel manipulated hundred percent. 5. Fingertip impact protection attached leather, laminated safety within the reflective point of the night. 6..Wrists hook and loop fastener adjustment design makes gloves easy to fall off. 7.Thickened EVA mats on the back of the glove, protect your hand better 8..With antiwear PU leather on the back makes it more durable 9.Ideal for multisports like riding, tactical activities and etc 10.With PU material in the palm to enhance abrasive resistance and protect your palm Packaging & Shipping Exhibition FAQ FAQ: 1.Q:Are you a factory or trading company? 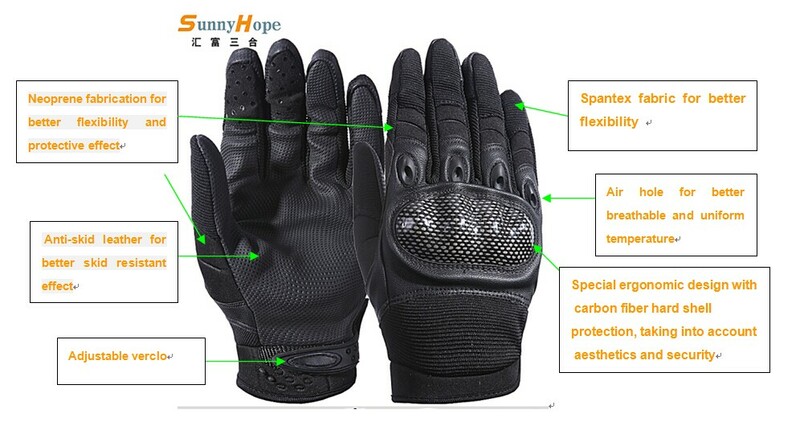 Contact us if you need more details on Carbon Fiber Shell Gloves. 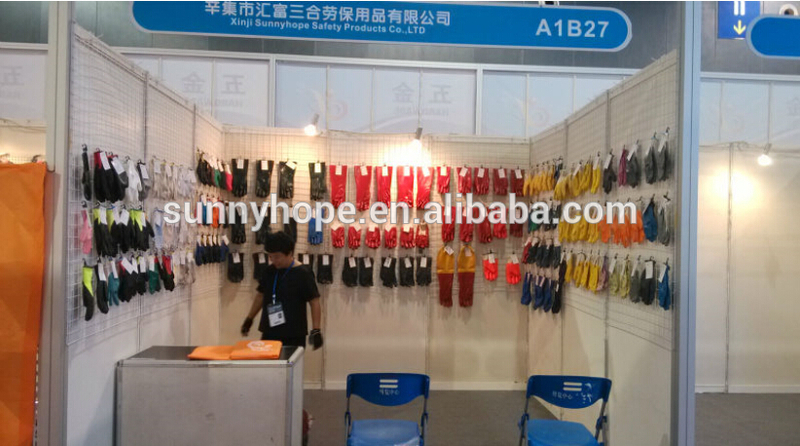 We are ready to answer your questions on packaging, logistics, certification or any other aspects about Custom Sports Gloves、Sports Hand Gloves. If these products fail to match your need, please contact us and we would like to provide relevant information.